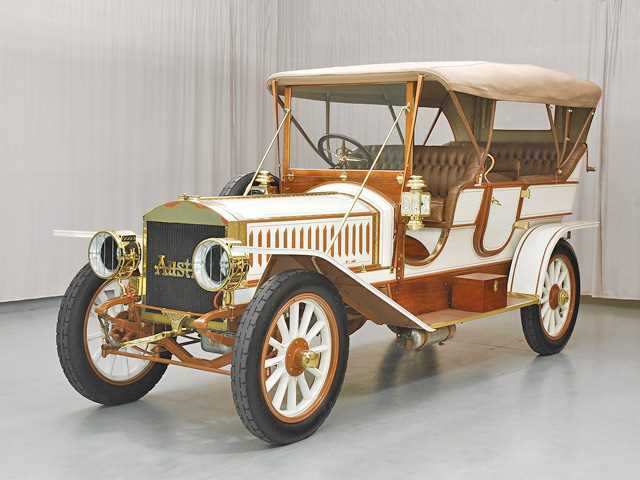 In 1900, James E. Austin was in the lumber business when he bought Michigan Iron Works in Grand Rapids, Michigan, so that his son, Walter, could have a place to tinker in mechanics. 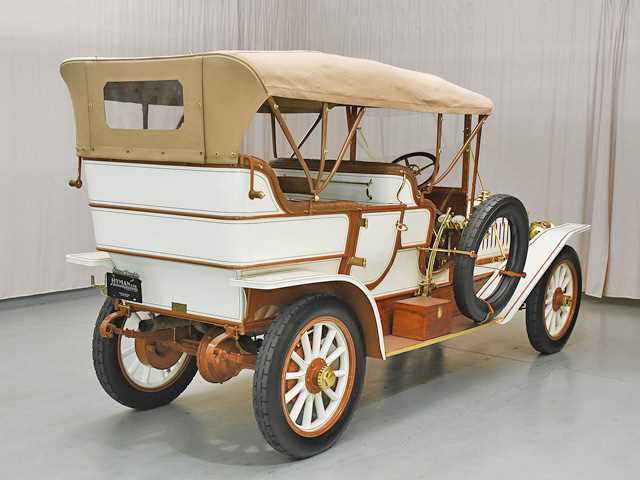 By 1902, Walter had a car on the road, and sold 13 of them the during the next year. 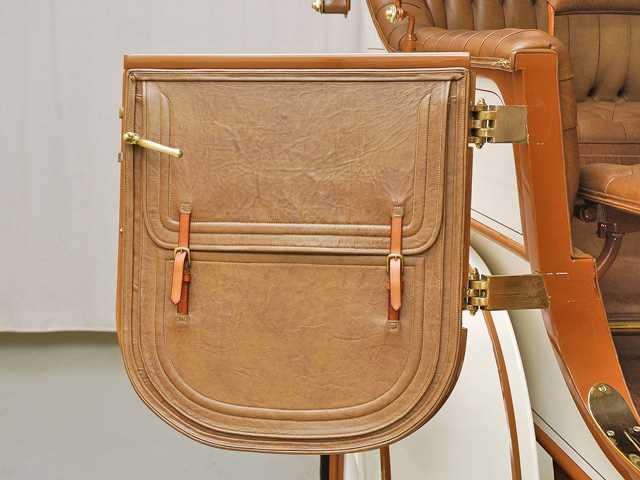 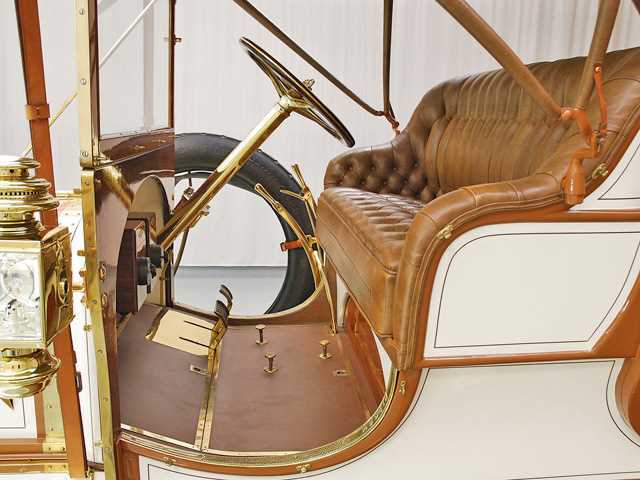 At that point the father and son agreed that there could be a future in the manufacture of automobiles. 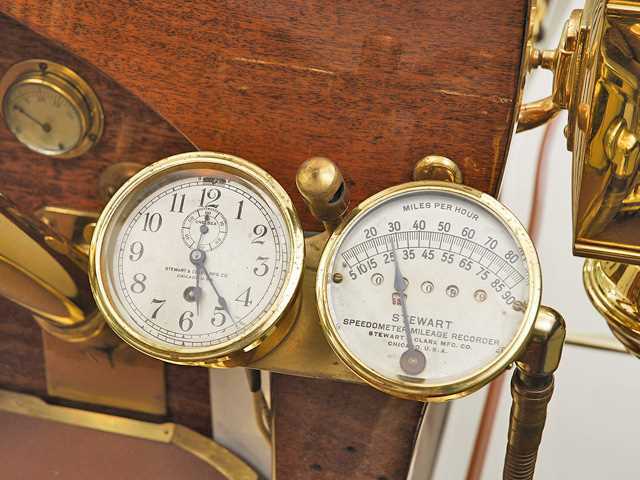 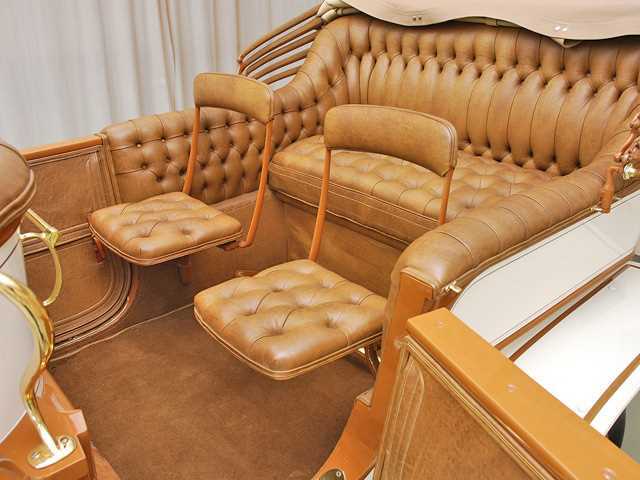 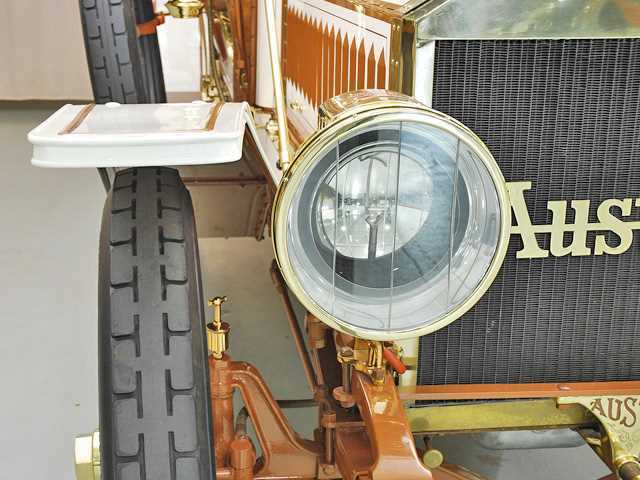 The Austins weren't interested in assembly-line production and hand-crafted each of their Austin automobiles, limiting their numbers to 25 to 30 cars a year. 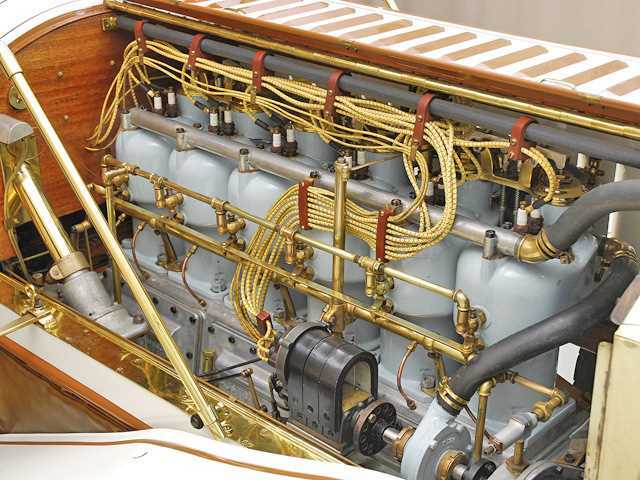 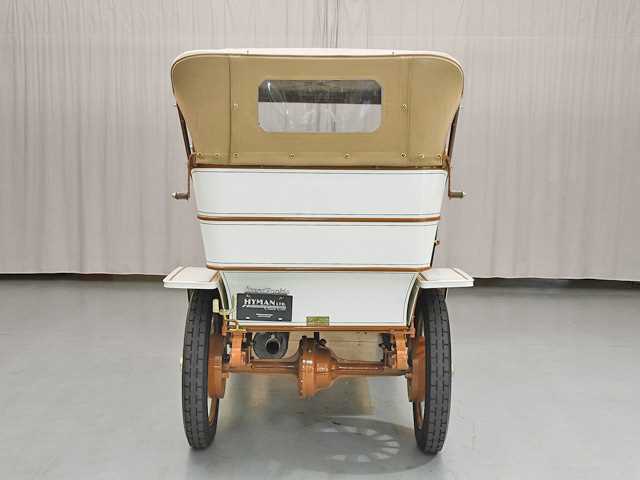 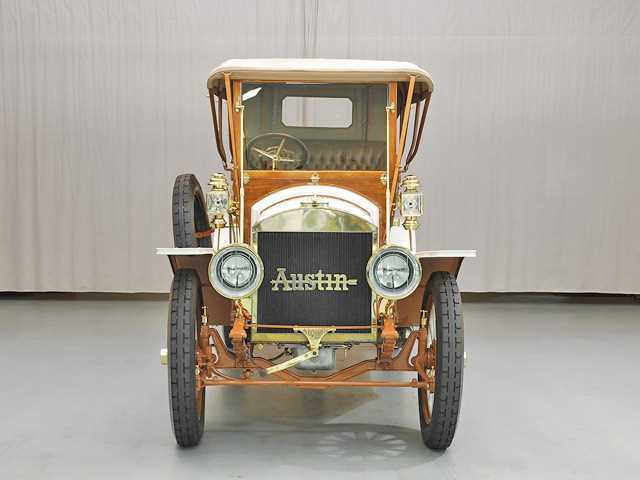 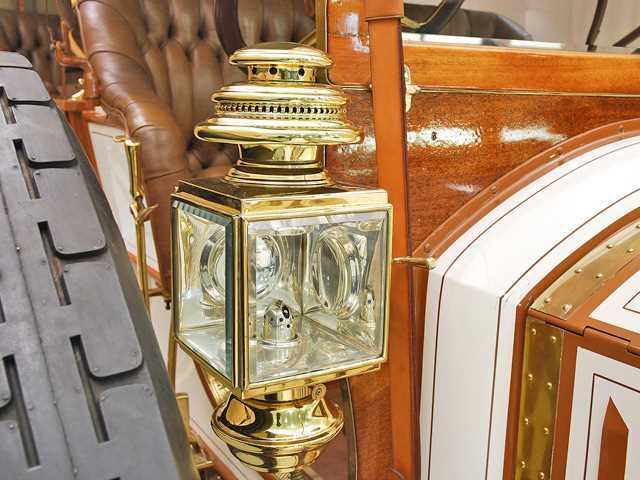 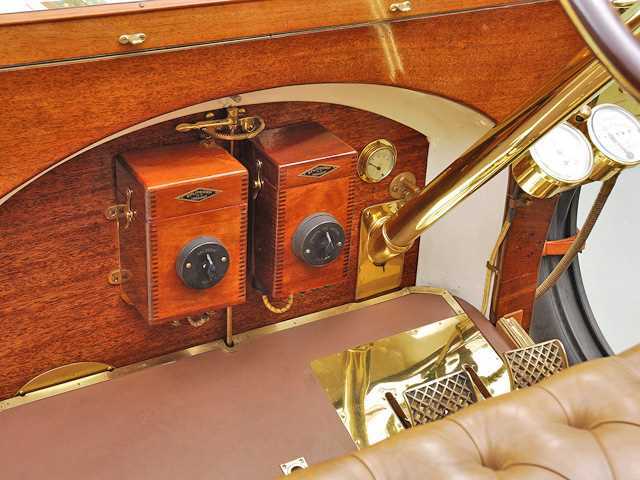 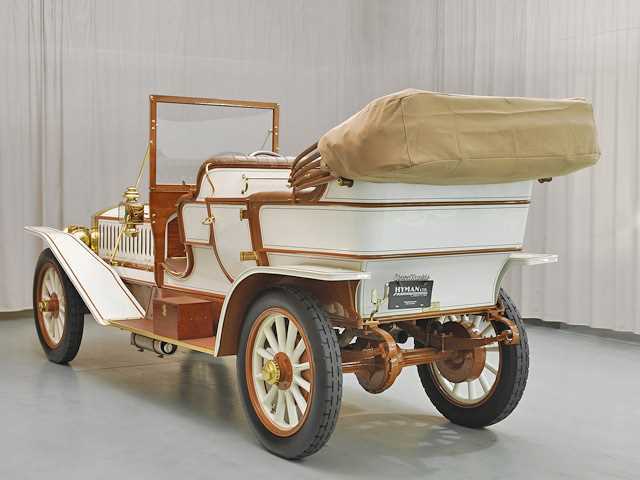 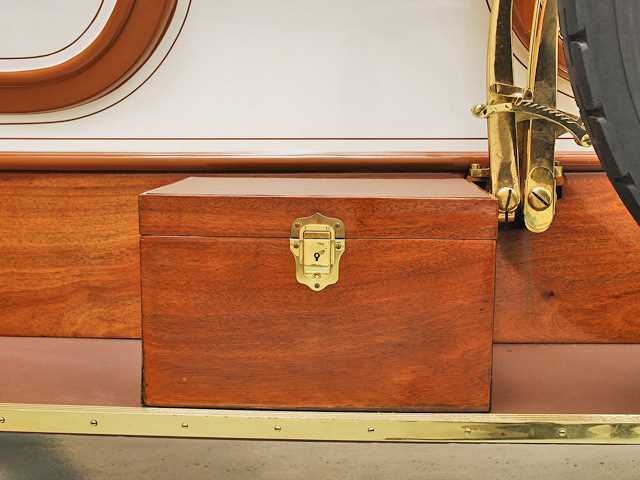 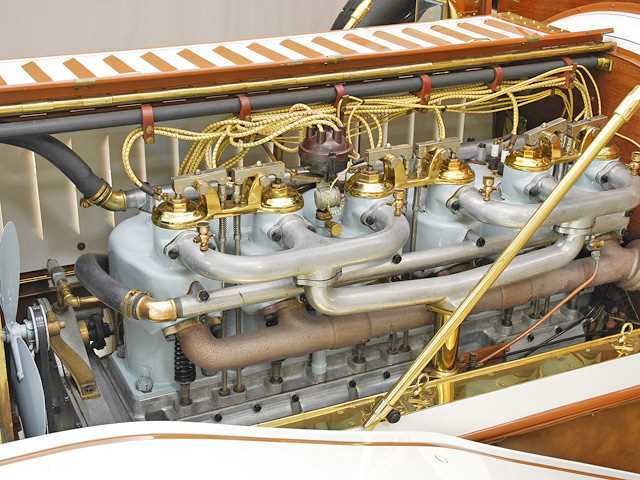 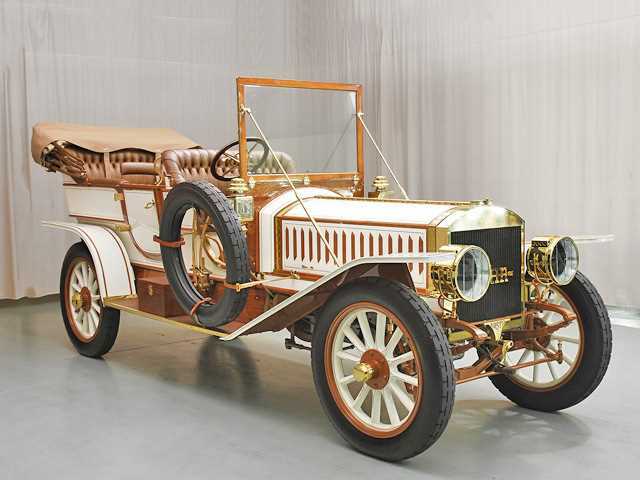 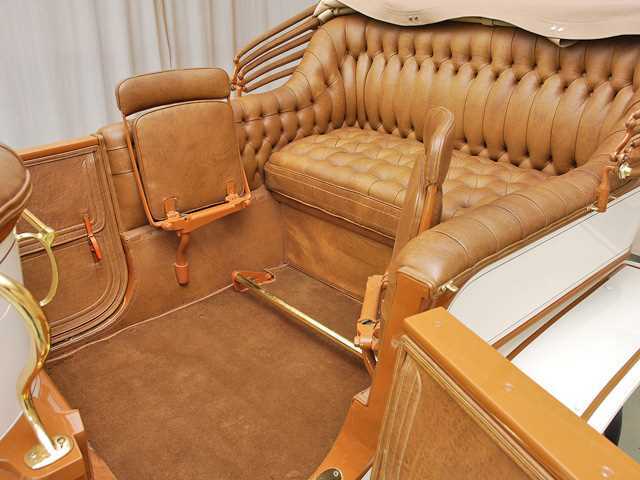 The 1909 Austin was available in three models, Model 45 with a 6 cylinder engine rated at 45/60 horsepower; a Model 50 with a four cylinder rated at 60 horsepower and a Model 60, with a six rated at 60/90 horsepower. 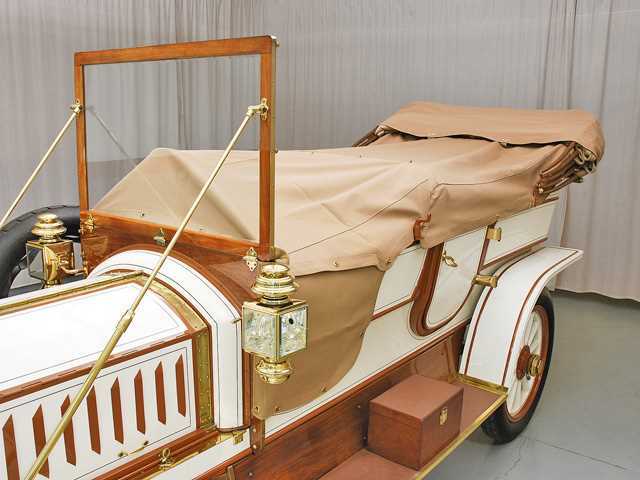 Each model could be configured as either a Touring Car, Roadster, or Limousine. 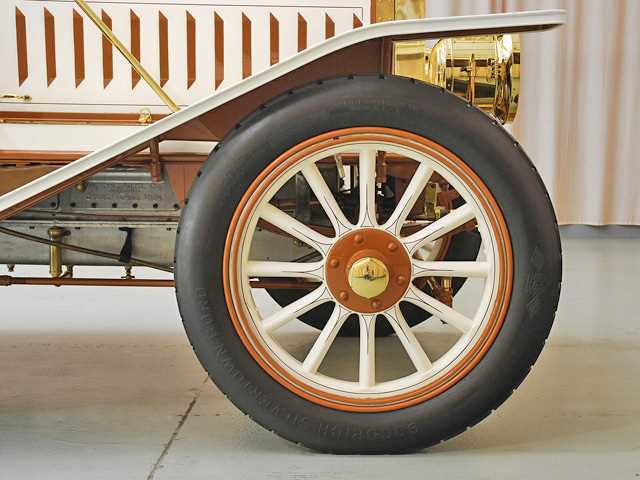 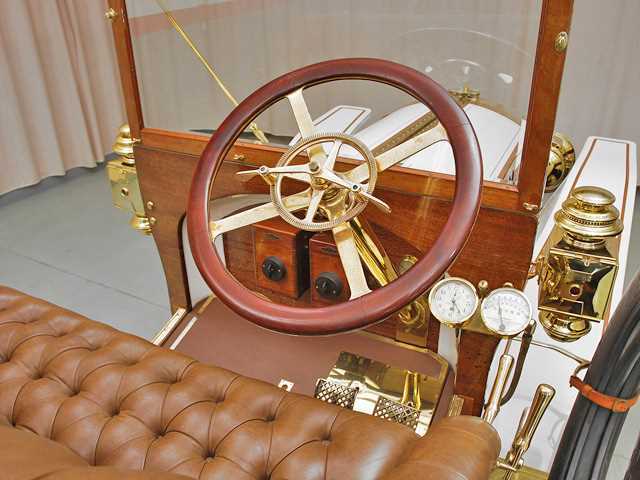 Shown is the 1909 Austin Model 60 Touring car.